Get ready for the Portland Sportsman Show coming up February 5-10, 2019 it will be AWESOME again this year! Hope to see you there! Check out our guns now available at the Hillcrest Food Mart (near Chehalis WA off HWY 603 – between Claquato and Adna). We always pitstop there….whether we’re hungry or not! 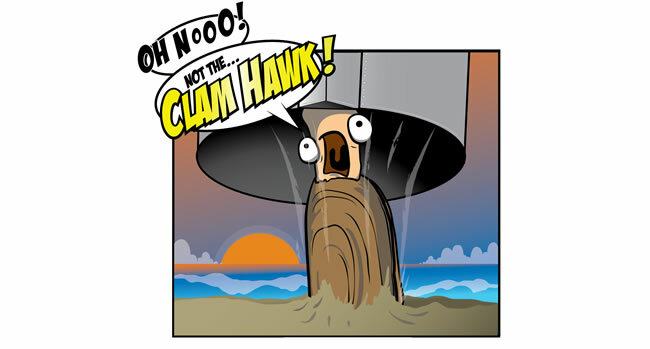 Clamhawk & Clamhawg – for your BEST Razor Clam digging experience! Clamhawk and Clamhawg are our newest products for Razor Clam digging and are sure to surpass the shovel or aluminum, pvc and other kinds of clam guns being used today. They will save your back and keep YOU digging for dinner…..without you relying on someone else! Clamhawk *& Clamhawg guns are light-weight and easy to use. We’ve been making these coveted guns for nearly 5 years now and the public response has been incredible. We rarely advertise because there is no need. Word of mouth, what people see on the beach and in the stores does everything we could ask for. Ask anyone that’s used our guns and other products and listen to what they tell you….“These are the best guns on the beach”. The testimonials are endless. We regularly have folks tell us how they had stopped clamming years ago due to back pain, injury, age, etc. and in the same breath tell us the Clamhawk and Clamhawg has allowed them to get back into doing the digging they love and how it’s soooo easy and has meant so much to them. We have been adding more colors to our line of guns and to our accessories for you to enjoy while digging Razor Clams. Click the picture to the left (or the buttons at the top of the screen) to take you to our Store. Check back on occasion as we add more products we believe you’ll want for yourself or for gifts to the other “Hawkers” in your life! Give the CrabHawk to family, friends, co-workers, clients, and anyone who loves to crab. Even if they haven’t crabbed before, the CrabHawk makes it easy and fun. Sold, all over the America’s (including Canada & South America), England, Australia and many other GREAT countries! CrabHawk is an exciting way to catch crab and lobster for the whole family. 2018 is predicted to be another GREAT year for recreational crabbing! AND, it’s always time for a new tool in your toolbox or as a gift for that special someone in your life – get yours TODAY! 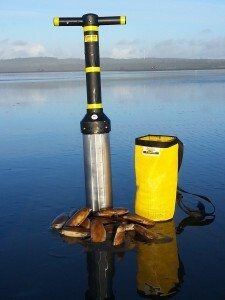 The Crab Catcher that you can cast with a fishing pole or use from a handline….CrabHawk. Cast out further than normal Crab Traps, Crab Gear and Catch More Crab & Lobster. Crabbing fun for everyone! 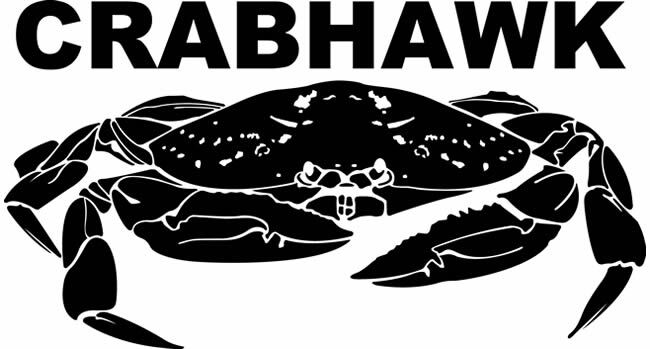 If you like crab fishing and lobster fishing, the CrabHawk is a MUST HAVE to go with the rest of your crabbing and lobster gear! It’s great for an RV, boats, kayaks and campers. 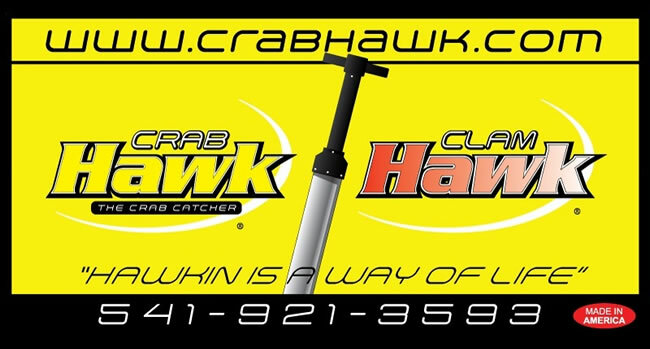 The CrabHawk is the new and exciting way to catch crab and lobster by using a rod and reel. This new way of crabbing is quickly picking up new users around the world. People from across the United States, Canada, England, Australia and many other great places are using the CrabHawk and finding out how great it works. The CrabHawk is great from land, docks, piers, boats, Wave Runners and kayaks. When using rings and pots from a pier or dock, you are limited by how far you can throw them (maybe 15 to 20 feet). Using fishing gear and the CrabHawk gives you an edge whenever you’re crabbing for dinner, competing with other crabbers and lobster catchers or out by yourself for a great time. With the CrabHawk, you are able to cast out into the deeper water, where the BIG ONES lay! It is not uncommon to cast out over 125 feet! You can cover areas along the shoreline better than with rings and pots or other crabbing/lobster gear. 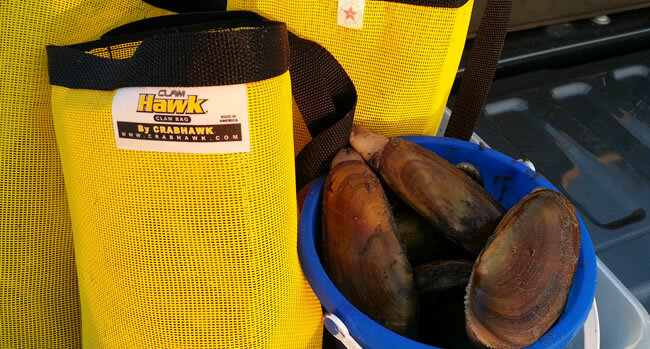 Crab fishing with the CrabHawk works well for everyone, including those with disabilities. 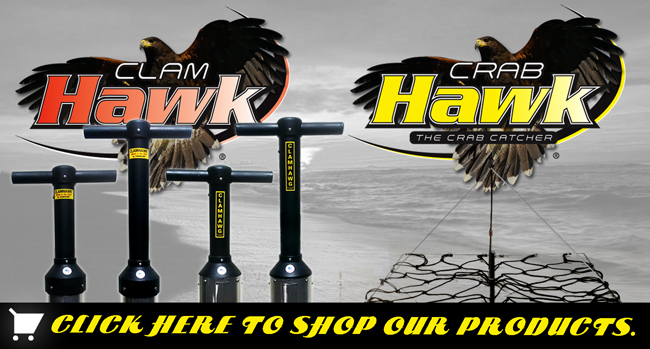 If your anchored up from a boat or other fishing vessel, just watch for the action on your rod tip to let you know something’s in your CrabHawk. Just place a chicken drumstick (or whatever bait you prefer) on the bait post and cast it out. If crab or lobster are around, you will be catching them in no time. Crab and lobster fishing is a great time for the whole family. The CrabHawk can be stored in its own 3 millimeter bag and can be easily stowed and transported in your vehicle, boat or RV. Nearly all the parts are stainless steel, making the CrabHawk strong and versatile. The CrabHawk is not a crab trap, it’s a crab and lobster catcher! 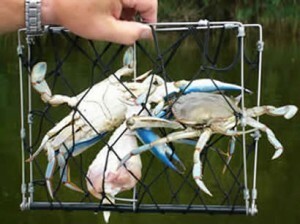 It’s different from traditional ways of crabbing (such as a string and chicken neck, trot lines, etc.). Crab traps and lobster traps may be harmful on the crab or lobster if not used properly, left unattended or lost. The CrabHawk is “crab and lobster friendly.” Sportsman love how easy the Crabhawk works and the results it produces. Crab fishing and lobster fishing are a way of life around the world. The CrabHawk works great for all types of crab and lobster (ie; Dungeness Crab, Blue Crab, Box Crab, Stone Crab, Mud Crab, Swimmer Crab, Spiny Lobster and many others) and replaces crab and lobster gear of old. REMEMBER…..CrabHawk gets you out where the BIG ONES lay……..and where DINNER, is just a cast away! *Note: The CrabHawk is a crab/lobster catcher not a leg snare or trap. Check your State or Country’s rules and regulations. Please be gentle with all the crab and other critters that must be returned to the water to ensure a sustainable resource for our children and the future!